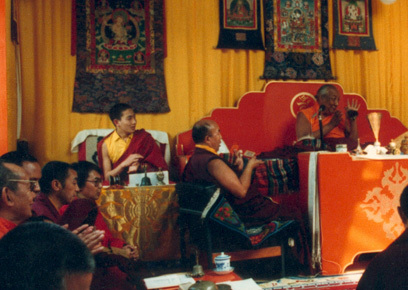 Dilgo Khyentse Rinpoche, Rabjam Rinpoche, Tenga Rinpoche and other lamas at the Rigpa Centre in London, 1982. Photo courtesy of the Terton Sogyal Trust. current 18:01, 20 May 2009 408 × 290 (93 KB) Petefry (talk | contribs) Dilgo Khyentse Rinpoche, Rabjam Rinpoche, Tenga Rinpoche and other lamas at the Rigpa Centre in London, 1982. Photo courtesy of the Terton Sogyal Trust. This page was last edited on 20 May 2009, at 18:01.